Did you know that we are getting not one, but TWO new books from Kasie West this year?!?! THEN we get Lucky in Love in July!! and now I'm anxiously awaiting Lucky in Love!! Cute pick! Not my kind of read but I hope you will thoroughly enjoy it! 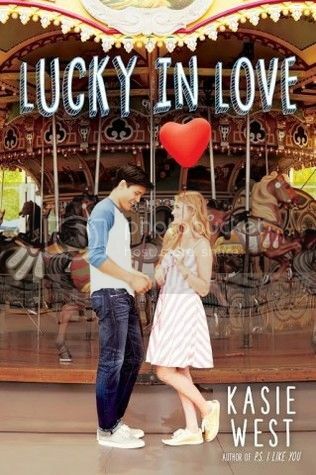 Kasie West's books are perfect for summertime! I love the sound of this one. Great pick! Eeeep, yaaass! This is probably in my top five most anticipated of the year. It's so hard to decide which are the most anticipated because there are so many good ones publishing in 2017. But this one! This one is up there. I love West's novels. I hope you enjoy this book when you get a chance to read it!